Nanoscale zero-valent iron (nZVI, nFe0) particles have been investigated in recent years as a promising material for the removal of antibiotics from water environment. Although the potential benefits of nZVI in environmental remediation are considerable, there is a distinct need to rationally apply zero-valent iron-based (nano)materials to antibiotics removal in hydrosphere. 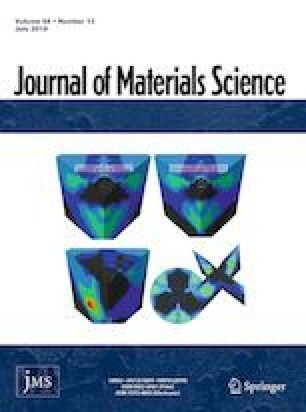 This review supplied current opinions about the most recent works, which have been carried out toward the applications of various zero-valent iron-based (nano)materials (e.g., pristine nZVI, surface-modified nZVI, porous material-supported nZVI, inorganic clay mineral-supported nZVI and material-encapsulated nZVI) to the removal of antibiotics from water. The corresponding interaction mechanisms between the various zero-valent iron-based (nano)materials and the antibiotics, including adsorption, reduction, oxidation and other special interaction mechanisms, were discussed. The key influencing factors affecting the reactivities of the zero-valent iron-based (nano)materials with antibiotics (e.g., solution pH, solution temperature, nZVI dosage, coexisting oxy-anions and cations) were highlighted. It demonstrated that the zero-valent iron-based (nano)materials possess high reactivities with antibiotics and have great application prospects in water environmental remediation. Yuzhou Zhou and Ting Wang contributed equally to this work. This study was financially supported by the National Natural Science Foundation of China (Grant No. 51709103), National Key R&D Projects of China (Grant No. 2016YFC0403002), Hunan Provincial Key R&D (Grant No. 2018WK4007), Training Program for Excellent Young Innovators of Changsha (Grant No. kq1802020), Double First-Class Construction Project of Hunan Agricultural University (Grant No. kxk201801005), Double First-Class Construction Project of Hunan Agricultural University (Grant No. SYL201802005) and Hong Kong Scholars Program (Grant No. XJ2018029). There is no conflict of interest associated with this work.